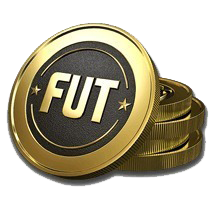 Coins for FIFA 19 Ultimate Team for PC (PC). 1. Pay for the purchase; in the right upper part of the page you can enter the number of coins (1k = 1 thousand) or the purchase amount, after choosing the payment and delivery method that suits you, then click on the BUY button. Then follow the instructions. 2.1 Delivery method "Buyout players" you will receive instructions for exhibiting players (players) in the transfer market. This method is at increased risk! 2.2 Method of delivery "Comfort Trade" you must specify the login information for the most secure content. This method is the most secure. Recommended! The essence of the method is to expose an expensive player from one account at a low price and buy from another account. After that, already sell it at a market price and thus make a profit. This method minimizes the risks as much as possible (But risks will always be, since buying coins, you violate the rules of the game). For transfer, you need to tell us the login of ORIGIN, the password of the origin and the secret from the UT mode. Do not confuse the secret with UT and origin. The secret from ut is needed only for entry, in UT, and the secret from the origin is needed to change the password and other data, we do not need it, as we do not need data by mail, without having this data with the account, nothing is possible to do! - More than 60 000 successful sales and more than 20 000 positive reviews. Also, compensation for the value of players is not provided. Use for the transfer you need only gold players or information. We recommend to spend coins immediately after receiving them.